← What Does it Really Mean to Trust God? This is so beautiful…and comes at a perfect time for me as well, as I have a senior in high school so this is hitting very close to home. I cried reading this poem, as I, too, need to remember that my children are indeed in God’s capable hands and His grace is truly enough! Not an easy thing to do as a parent, yet a tremendous gift if we can truly bring ourselves to place our children in God’s hands. Oh Sheri this tugs at my heart so hard! Why a beautiful picture of the boys and how blessed they are to have a mother (and father ) who love them and so much to let them go as they need to!! Thank you for sharing your loving fears and I will be praying for you tomorrow! They will do great! You’ve provided them with the wings they need to fly off on their own! Thanks so much, Kathleen! Your prayers are so appreciated and truly needed. I’ll pray for your beautiful girls as well! This is beautiful and so well said! Perfect timing for me, too. I’m at the other end of the spectrum, first day of preschool coming up. It’s funny how some days it’s tempting to want to rush them along, and then suddenly you get the wake up call that it’s going by too fast. Give the boys a good luck hug from me! They’ll do fabulous! As parents we have to live through so many milestones. 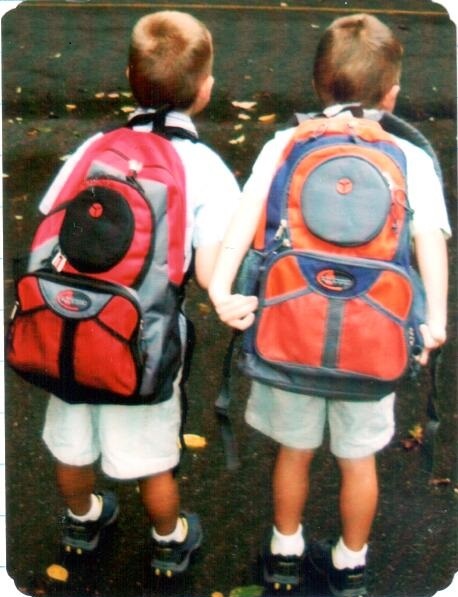 First day of pre-school, elementary school, middle school, high school, and beyond. You’d think it gets easier, but it doesn’t! Only prayer and the warm encouragement of family and friends gets us through. Thanks for posting! This brought tears to my eyes. I have had to let go so much in this short amount of time and trust that they are in good hands. Good luck to the boys tomorrow! Love to you all! Thanks, Rebecca! Love and prayers to you and your family!